From TMOs and baseline technology to sporting apparel there are many ways sport in general is advancing and becoming more accurate based on the data collected and analysed through sophisticated computer software and web applications. 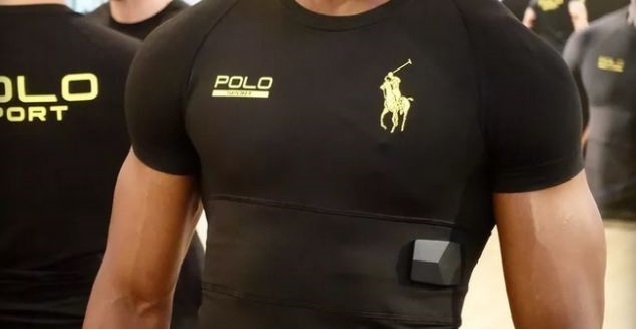 Ralph Lauren has just announced it’s “second-skin” fabric Polo shirt for the general public ($295) which will not only track what you do, giving you real-time analysis if connected to the Ralph Lauren mobile app, it syncs data from the PoloTech shirt and gives you workout suggestions based on the biometrics you're showing. Tech in Sport is getting more advanced but some sports are slow on the up-take. Why? 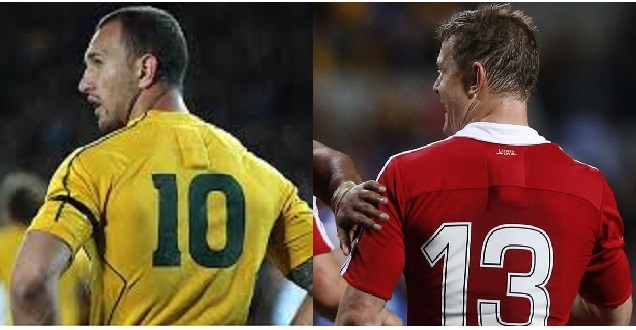 The potential for the use and re-use of sports data is golden - in more ways than just team performance and player welfare. Rugby has been using the GPS tracking and applied biometrics since January 2010 with Bradford Bulls (English Rugby team) being the first to use it, helping them to monitor a player’s running distance, average speed, impact intensity, when a player's intensity starts to drop, who is performing above or below their usual level and some models even contain a heart-rate monitor sensor which can identify potential problems on the pitch. This is a great advantage for ALL sports and if it had been used in Football it would have potentially helped to avoid the incidents of heart attacks and other issues such as with Fabrice Muamba, Gregory Mertens, Cristian Gomez and others. Football is one of the sports seemingly dragging their feet in keeping up with technology, having only just implemented the Goal-line technology for the Premier League in 2013. Along with player welfare, technology also helps the decision makers of the games. The referees have a huge job nowadays making split second decisions that can change the whole outcome of a sporting event or even an individual player’s career. Technology can now give them a helping hand in making the correct decision, although a criticism is that it can slow down the speed of the game. Computer software such as ‘Hawk Eye’, is used in Test cricket and Tennis, Television Match Officals (TMOs) or replay reviews are used in Rugby, Baseball and Basketball and Formula 1 has constant communications between mechanics, team leader and driver on the real-time data for fuel consumption, tire condition, weather conditions and any last minute pit changes etc. There are other decision makers using sophisticated technology and the data collected to make big choices. A very interesting way technology is being used in Basketball is in the analysis of player stats to assist coaches and managers in their player purchasing decisions to build up their particular team. A fascinating TED talk by Rajiv Maheswaran explains how this works with spatio-temporal pattern recognition. Sports data and player stats will become more and more valuable not only for the internal analysis by the coaches but also in the external realm of web development. Fantasy football type websites and online sport betting websites could use the data to help predict wins and ratios setting up algorithms based on team and player performance averages, patterns, fitness levels and even health. Getting hold of that data and programming something on a secure platform will be a complex and potentially costly task but the rewards could be huge for the right niche - the golden data potential! 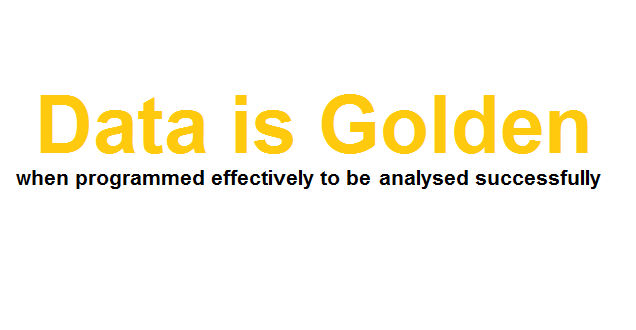 Data is golden but only when programmed and represented in a way that can be analysed easily and effectively. Should you need a competent web development consultancy to tackle this type of web development project for you, give us a call - we love flexing our techy muscles and are specialists in complex problem solving programming using ASP.NET secure framework. It doesn’t have to be limited to sports either, any organisation that collects data to be analysed and outputted into some sort of web application can benefit from our programming knowledge. Check out what we’ve done for our luxury yachting client projects Y.CO and Sealogical. Having worked at Webigence since 2013 I have been in a multi-tasking role of client liaising, project managing, networking, new business development, invoicing, aspects of HR and new recruitment, social media growth, as well as managing the day-to-day running of the office and the MD's requirements. WCRS wins Grand Prix at the BIMA Awards celebrations!